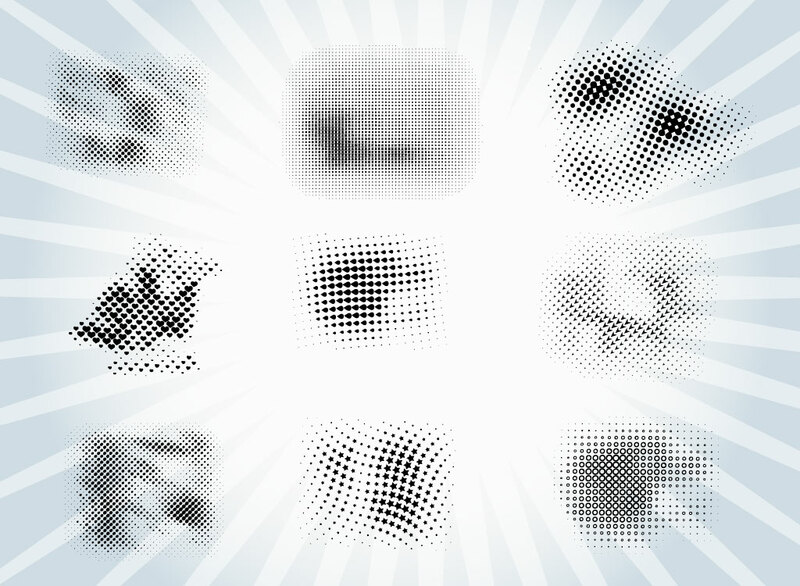 Nine different halftone patterns come in this vector set. Halftones are very useful for effects, art brushes, scatter brushes and textures. Perfect to into Illustrator and Photoshop for instant art brushes. Zip file comes with AI, PDF and JPEG files. Tags: Brush, Design, Distress, Dots, Halftone, Pattern, Textures, Vector, Vintage.